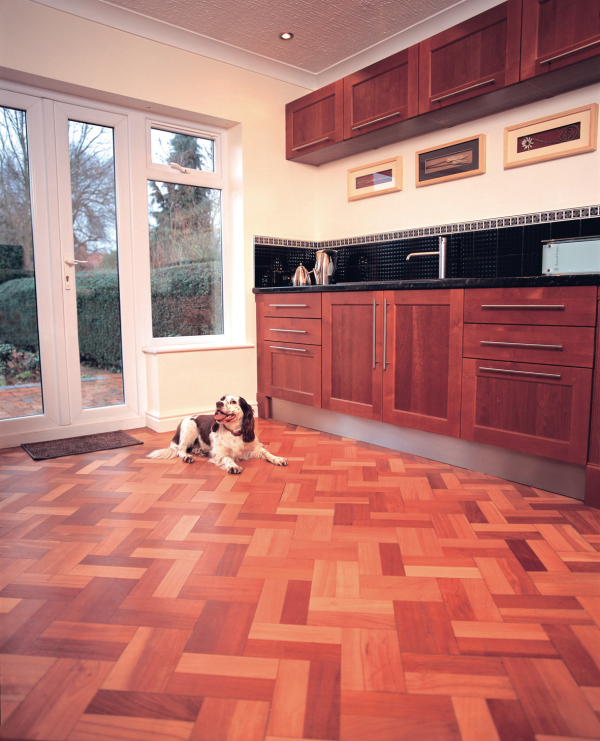 There are so many options when it comes to protecting your indoor wooden flooring. Whether you want to restore antique pine boards or goall white and Scandi, you will want a finish that is practical as well as stylish. Part 2 of our ‘Beautiful Wooden Floors’ series shows you how to get the best from the wooden flooring inside your home. Oil brings out the natural beauty of the grain, conditions the wood and minimises the appearance of scratches. Protective treatments such as Osmo Polyx Hardwax Oil and Liberon Floor Oil provide an extremely hardwearing finish that is water, dirt and stain resistant. They offer great protection in high-traffic area, and in households with children or pets. 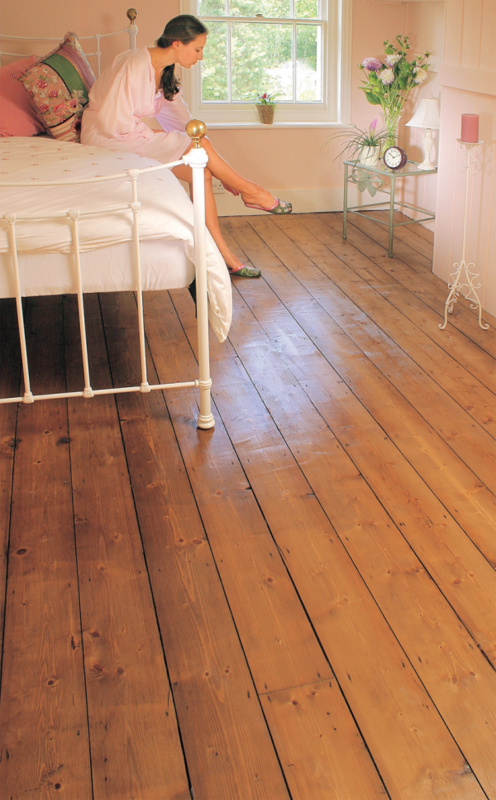 Oil finishes are an ideal solution for reviving wooden flooring in any room. They do not peel or flake, and stained or damaged areas can be patch-repaired without sanding. A dark stain provides an easy way of renovating wooden flooring and changing the look and feel of a room. Stains change the colour of the wood but still show off the natural grain. 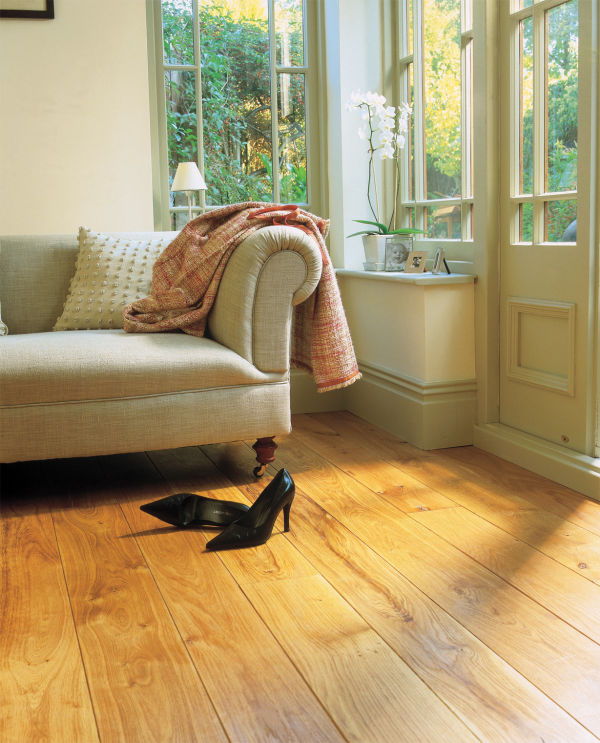 To add protection, coat your stained floor with clear varnish in a finish of your choice. Floor varnishes are durable and can withstand mopping, making them an excellent choice for kitchens, bathrooms and high traffic areas. Choose from clear or coloured finishes in all sheen levels. NOTE: It’s not advisable to use coloured varnishes on very pale boards as blemishes and scratches will show through. Instead, opt for a dark stain followed by clear varnish. Floor paint is a cost-effective option for renovating wooden flooring that is tired and beaten up, or for adding WOW factor to a room. Colours are solid and range from bold to subtle, in all levels of sheen. Floor paint is a good option for bedrooms and other low-traffic areas. NOTE: Always use a specialist floor paint for best results. 1. In preparation for sanding, clear the room of furniture, remove soft furnishings and seal doorways. 2. Remove any beading, edging or skirting to ensure a perfect finish. Where this is impractical, protect the edges of these surfaces with masking tape. 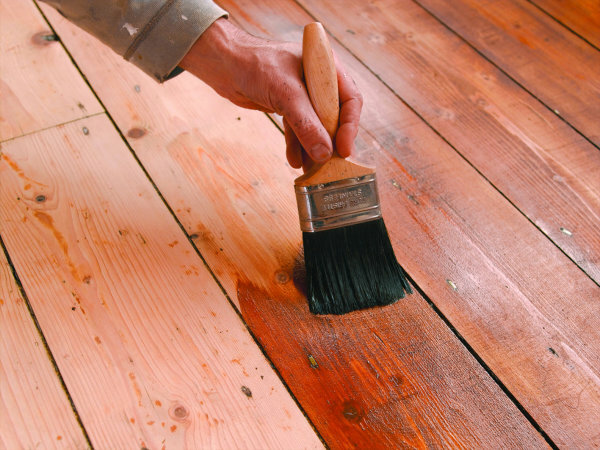 Remove any previous paint, oil or varnish with a suitable chemical stripper and allow the surface to dry thoroughly. Paint and varnish finishes —remove areas of old paint or varnish that have peeled or blistered. 2. Fill small cracks and larger joints or holes with a suitable wood filler and allow to dry. Wear googles and a face mask for this step. It is also a good idea to wear ear defenders if you are using a professional belt (or drum) sander. Open windows to ensure good ventilation. For smaller floors, use a hand-held rotary sander for the main surface areas. Larger floors will require a professional band sander. Finish edges with a hand-heldsander and use a sanding block for corners and hard to reach areas. 1. Secure any loose floorboards and cut out and replace any heavily damaged sections of board. 2. To prevent damage to the sanding machine, remove any old carpet tacks and drive any protruding nail heads below the surface using a nail punch. 1. Sand the floor boards diagonally from one corner of the room with a course 40 or 60 grit abrasive. 2. Repeat the process from the adjacent corner of the room, so that the sander runs at right angles to the first sweep of the floor. Use the same grade abrasive to sand edges and corners. 3. Sand along the length of the boards, edges and corners with 80 grit abrasive. 4. Repeat the above step with 120 grit abrasive. 1. Sand along the length of the boards, edges and corners with 80 grit abrasive. 2. Repeat the process with 120 grit abrasive. Vacuum surfaces and wipe with a tack cloth or microfibre cloth to remove dust. NOTE: Mopping is not recommended as it is advisable not to get the boards too wet. NOTE: This step only applies to boards that are being painted or stained. Skip to step 5 for oil and varnish finishes. 1. Seal knots and resinous wood with knotting. 2. If your paint system requires it, us a suitable primer-undercoat to coat bare boards/patch prime. Apply the stain of your choice and allow to dry thoroughly before protecting wooden flooring with a clear varnish top coat. Your coating system and the number of coats required will depend on your choice of finish. Always refer to the manufacturer’s instructions. Patch-test the product on a spare wooden board or inconspicuous area for colour compatibility and end result. View Part 1 — Preparing and Protecting Decking, to create and maintain beautiful wooden outdoor entertainment spaces. 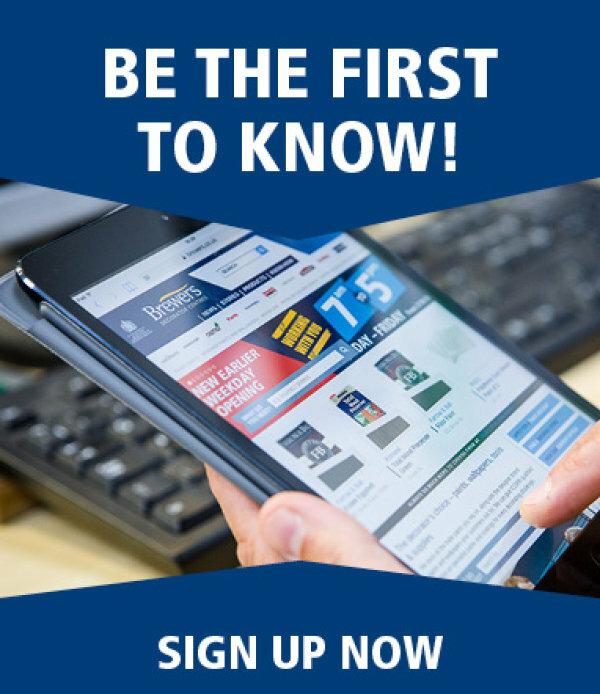 Sign up for more Know-how straight to your inbox. 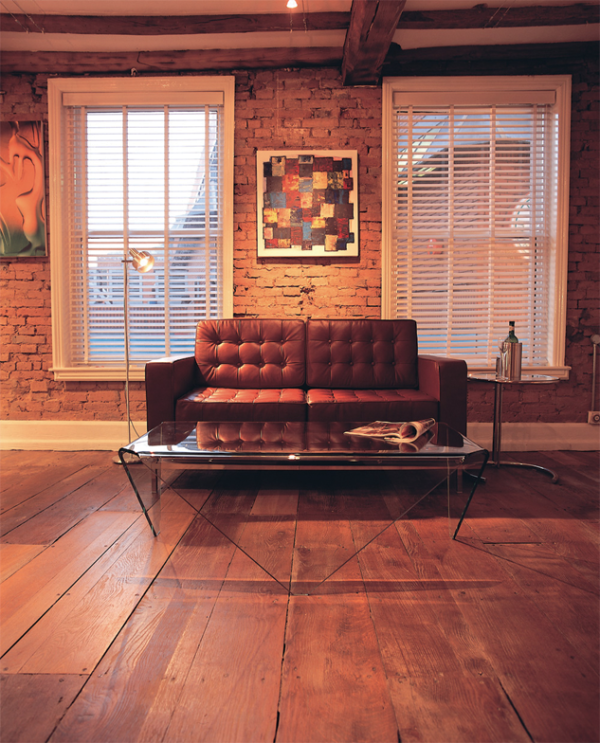 Beautiful Wooden Floors - Inside and Out!